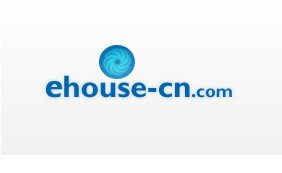 Apache - A very popular open source web hosting software, available for numerous platforms. Bandwidth - The amount of data traffic that can or is transported from one computer to another. BIND - Berkeley Internet Name Domain is an implementation of the Domain Name System (DNS) protocol. Co-lo - Co-location, refers to an agreement that sees a client owned server hosted in an ISP's data center. Daemon - An application or utility that runs in the background on the server. DNS - Domain name system, turns domain names in to IP addresses. Domain name - An alpha-numeric combination that can be used instead of IP addresses. Enom - An ICAAN registered domain name registrar. Fantastico - An integrated application that allows web hosting clients to automatically install popular scripts. FrontPage - A Microsoft web development application. FTP - File transfer protocol, allows users to transfer files from one computer to another. HTML - Hyper Text Markup Language is a simple markup language used to design web pages. HTTP - HyperText Transfer Protocol allows the transfer to web files over the Internet, viewable in a browser. Linux - An open source version of the UNIX operating system that has gained popularity as a web hosting platform. Managed Hosting - A web hosting service where the provider supports the daily upkeep of the server, including activities like updates and patches. MySQL - An open source application of a SQL server that is quite popular with numerous web hosts. NameServer - Converts domain names into appropriate IP addresses and vice versa. NOC - Network Operations Center. Overselling - When a web host sells more space, bandwidth or CPU cycles than they have at their disposal, with the belief that the customers won't actually use them all. PERL - Practical Extraction and Reporting Language, is a programming language frequently used for creating CGI programs for web use. PHP - An open-source, server-side scripting language used to create dynamic web pages. phpMyAdmin - A web based application to manage MySQL databases. RedHat - A commercial Linux distribution, popular amongst web hosts. Reseller - A webhost who resells web space off of a shared server with other resellers. Squirrelmail - A web based e-mail program. SSL - Secure Socket Layer is a protocol that transmits data in an encrypted form. Terabyte - 1024 Gigbytes worth of storage or bandwidth. VLAN - Virtual Local Area Network. 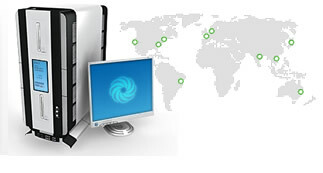 VPS - Virtual Private Server is a software based private server hosted in a shared environment. Whois - A universal database maintained by registries and registrars with domain contact information.